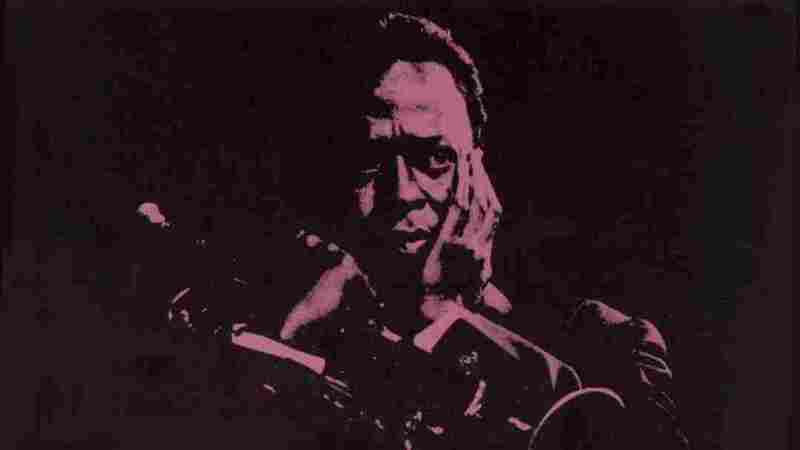 How A Stressful Night For Miles Davis Spawned Two Classic Albums On Feb. 12, 1964 a high-stakes gig and some backstage tension led to a singular performance caught on tape. Detail from the cover of Miles Davis' Four & More. The album was one of two gleaned from a 1964 concert at Philharmonic Hall in New York. Fifty years ago, on Feb. 12, 1964, Miles Davis led a band through one of the most exciting gigs to ever take place at New York's Philharmonic Hall. The show was a cultural event: a benefit for voter registration in Louisiana and Mississippi at the high point of the the civil rights movement, and an unofficial homage to John F. Kennedy, who had been assassinated a few months before. And the recording of the evening would turn into not one, but two live albums: the ballad-based My Funny Valentine and the more frenetic Four & More. Journalist and critic Colin Fleming considers this show one of three or four greatest concerts ever given. The irony, he says, is that the experience was miserable for the musicians, who'd had an argument just before showtime. "Miles Davis is 37 at this point; his drummer, virtuoso drummer Tony Williams, is 18; Herbie Hancock, the pianist, is 23," Fleming tells NPR's Rachel Martin. "Davis says, 'We're doing this for free.' And he's rich — drives, like, a Ferrari. Everyone else is like, 'No, we're not doing it for free.' They have a big row, they go on, and basically they play this kind of speed-metal, punk, thrash-jazz, with Davis acting almost as conductor. "They knew the setting and the moment was unique; they thought they were absolutely rubbish, though. It wasn't until they heard the tapes later that it was like, 'Oh, my. Wow. We absolutely nailed it.'" For more on that night, click the audio link on this page.